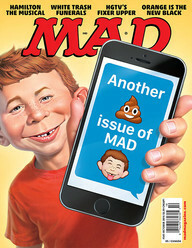 These Tax Cuts look as if an issue of MAD Magazine had conjured up these plans except that, unlike MAD, the result here is neither satirical nor humorous; it is endangering to our future. It's time to take a look at how you can get out of "the system" and live off the grid. The only long term way the Tax Cuts will help you now is if you can find your way to live off the grid in a self-sustaining lifestyle by creating your own off the grid job and lifestyle to at least have more control over how you live your own life. This post is about why these Tax Cuts mean that you should now consider, and take action on, figuring out how to live off the grid and become self-reliant by creating your own off the grid jobs. The solution to the question of "how to do that" is to register to join the Community of "How To Live Off The Grid Now™" and get the help and support you need to create your own off the grid lifestyle. Of course, regardless of your current income bracket, you want good paying jobs, affordable healthcare and tax cuts. You want to support yourself and family, make ends meet and get ahead in life, building for retirement. That makes sense; I understand that and relate well to you. "Make America Great Again" goes back to a period that registers with all of us not in the 1% bracket. A post-war era when America was once prosperous, growing and leading the world in technology, steel and manufacturing. That was a time that we remember, or have heard about, as when everyone had good paying jobs. The "American Dream" was achievable. Detroit, Flint Michigan, Philadelphia, all were doing very well! We want that "America" back again! Our parents were doing well, we were doing well and our economy was doing very well: No worries! Back then, the top tax rate was a whopping high of 92% in the early days after WWII but, nonetheless, the country grew at a much higher rate than it is now under very much lower tax rates. Even the middle class grew rapidly back then, unlike today as it shrinks away. As a country, we were the envy of the world and proud of our accomplishments. Now, we are afraid and we feel lost: We feel abandoned by those we elected to serve us. The Grinch has taken our jobs or frozen our income and reduced our benefits and nobody in Congress has reached out to help. The top 1% get ahead while the rest of us struggle, many desperately working several jobs every day just to make ends meet and many more now without any paying job or source of income. However, none of these very desirable results promised by Trump can, or will, happen under the GOP's current strategy. Their plan will not work to create jobs or to give us lasting tax cuts or grow the economy. We may even lose access to healthcare even if we still currently have healthcare and we could even be facing the next recession. I will explain why in this post and offer a solution. Now is the time to explore what it would take for you to take back control over your own life. Get "off the grid"; live off the grid and get out of "the system" that is not serving your needs or helping you get ahead. Trump and Congress are "Making America Great Again" for themselves and what they are doing will not help you unless you are in the 1% bracket or have a business. It is up to the rest of us to help ourselves by drawing on our innate American entrepreneurial spirit. We have to go back to being self-sufficient but go forward in using modern technology to do that. We need to find our way to comfortably live off the grid. It is important to become free from dependence on "the system"! Ultimately, that is what How To Live Off The Grid Now is about. * Talk to a Tax Accountant Professional to find out if you can live off the grid and do business in your State with tax pass-through and design how to do your business per this Tax Cuts Bill. Let us "Make America Great Again" for ourselves and solve our own challenges. Take back control over your own life! Register now to join the "off the grid", interactive Community of "How To Live Off The Grid Now". Become a Founding Member* to claim certain benefits by registering today. Click here to register. This post is about why I believe it is now even more urgent than ever to find a way out of "the system" if you want America to be great again for you. Trump and the GOP Congress wont do that for you. In fact, they'll do quite the opposite, more than likely ushering in the next recession. In my opinion, Trump is like Nero, fiddling while Rome is burning. He's doing that because he can, because he does not see the harm and chaos he is creating and because he really does not know what he is doing. But, he is having fun, at our expense, by doing what he is doing and he's making out like a bandit while doing it. 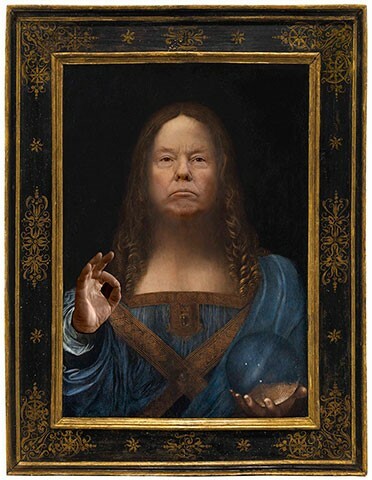 After years of being rebuffed by Manhattan high-society, Trump's finally arrived at the pinnacle of fame, fortune and power that he has coveted for years. Who's better than him now? Even this tax bill will add significantly to his fortune. It's as if the Emoluments Clause of The Constitution has been removed and has no meaning! Trump has chutzpah and he is a good showman. But, he is neither a good businessman nor is he a competent president. Given that he is president, I really do wish that he was both of these things; I wish that he knew what he is doing. Even in draining the swamp, you need to understand the impact of your actions and decisions or you can drown. Clearly, Trump does not understand either the impact or the related interactions arising out of what he is doing. He is proving to be very good at destroying things; not so good at creating things and terrible in understanding the difference. * Old engineers joke: It's difficult to remember your job is to drain the swamp when you are up to your a*** in alligators! Trump has, no doubt, been very successful in making a lot of money but making lots of money does not automatically qualify one as a businessman. The problem is that he has never been the successful businessman that he claims to have been. Even his ability to successfully negotiate any deal is now suspect after watching him since taking office. He did not even write his own book, "The Art Of The Deal" and, by his own admission - according to his ghost writer - he is a con-man. Mark Burnett, of "Survivor" fame, created "The Apprentice" and Trump then became an executive producer and host. In that show, he played the part of being a businessman. Now, as president, Trump is playing the part of being a president but acting more like a bull in a china shop rather than as a competent leader! Suffice it to say that he is not a clown or buffoon as some have suggested. He's an autocrat and a megalomaniac; he may even be running scared by finding himself with the consequences of being in this office but he's not stupid. He is, however, simply out of his comfort zone and well beyond his areas of expertise and experience. So he lies like a trooper to cover his inadequacies and has difficulty standing by any agreements he makes when confronted by the next person with an idea. If you question, as I have done, whether Trump and the GOP are being genuine and truthful with us, just take a moment to watch the video below. In this video, you see the Speaker, Paul Ryan, laughing hysterically. He sees it as funny that we are so unaware of his real motives. Ryan sees great success coming in finally achieving a goal he has dreamed about, and maneuvered to accomplish, for years. Unfortunately, Ryan's "accomplishment" is one that is going to become very harmful to the rest of us, including you. It will ultimately destroy Social Security, Medicare and Medicaid as we know and need them. His tax plan will never solve any of the major problems that you elected the GOP and Trump to solve for you. This won't bring back jobs or increase your wages. Ryan's plan may even end up costing you a lot more money out of your paycheck in the long run. Medicare, Medicaid and Social Security will become targets. Are you ready for that? The tax cuts, as laid out by Trump and the GOP, are real cause for concern for all of us. If the GOP is still in control of all branches of the government when this comes around, major cuts in Medicare, Medicaid and Social Security will be the way they will attempt to handle this increase in debt. They will claim this situation as a "whoops; who knew that the deficit would grow instead of shrink per our projections so we have to do this to now get the deficit back under control!" Who will suffer then? Those same lower income and middle class folks who have already been hit by the consequences of this tax cuts plan; we, the people! The Republicans have wanted to privatize Social Security for years and have been looking for an excuse. In this way, they've just created one. Ingenuous! Ingenious! The Tax Cuts, as implemented, will not help stop jobs from shrinking or wages from being stagnant. Particularly since the onset of the latest recession in 2008, decent paying jobs has been shrinking at an ever faster pace. The average Joe's and Jolene's sector of the economy has been either stagnant, shrinking or collapsed. They need relief. Many really good paying jobs with benefits had already been shrinking away even before this last recession. They've gone away due to offshoring, mergers, obsolescence and through replacement by robotics and automation. The Manufacturing sector of our economy has taken a very big hit over the past few decades. Conventional retail is collapsing and brick and mortar stores are now laying off staff in the thousands and closing stores in the hundreds across our country. There has been no recovery of jobs in this sector of our economy and the tax cuts will not change that fact. They will not slow the shrinkage or bring back any old jobs nor will they create new jobs. However, there has been an enormous recovery in the financial sector with many on Wall Street making vast fortunes. Meanwhile, Wall Street'ers do not need more tax cuts; they are already rolling in cash. Likewise for corporations; many of their coffers are overflowing with cash. The average worker, on the other hand, really does need some very significant tax cuts relief. There is a simple explanation why fortunes have been going in different directions between the rich and the rest. It's why the Tax Cuts are what they are. Our Democracy has been hijacked. It now serves the denizens of the Swamp. It has become a Plutocracy! Trump is not draining the swamp; he is developing it and wallowing in it! Your voice is no longer counted as serving any purpose other than to help keep the Swamp and its cohorts in power. They actually don't care about you or your needs; they just need your vote to stay in power. In fact, staying in power is all that matters to them; that's why they need this tax bill to pass. What I do understand is why so many people today are feeling left behind and forgotten by those in DC. 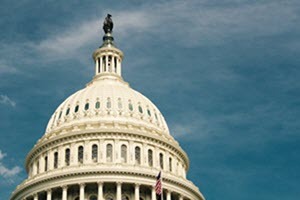 We elect members to Congress to serve and protect our interests. We expect that they will represent us and get the best deal for us from our government. In reality today, Congress has abandoned "we, the people". Instead, Congress is working for their primary donors. We, the people, are taken to the cleaners while our elected representatives take care of themselves! So, I feel that I understand, very well, why so many people chose to vote for Trump. Most likely, it was often out of desperation for change and hope for relief coming their way at last. They saw him as their Saviour. Nothing else has worked to turn this tide over the course of the several recent past administrations. Obama, the most recent administration, came in with great promise and brought hope to many people. However, Mitch McConnell declared, from day 1, a commitment to ensure Obama would be a failing, one term, president. The GOP, overall, set out to block Obama in every way possible and thus was hope killed for the people. Ironically, however, the Financial World recovered remarkably well even as the rest of us suffered. McConnell failed in limiting Obama's terms in the presidency but was still able to thwart much of Obama's agenda and prevent many of his promises from being completed. Nonetheless, our economy did recover for some and it did grow well under Obama. Then Trump arrived as one who would lead us all into a promised land of good jobs and good wages. In reality, Trump is more like "The Emperor with the Magic Suit of Clothes" (from the Hans Andersen fable) or, as Texan's are fond of saying, "All hat and no cattle"; plenty of showman bluster but no substance. In fact, it's as if Trump's base has felt they have been drowning: They reached out to him as a lifebelt to save them. His clarion call drew them to him just as The Pied Piper* drew in the unsuspecting children from Hamelin. * A Pied Piper is a person who talks convincingly to sell a promise but who then leads people into disaster. He is one that offers strong but false and misleading enticements; a person who makes irresponsible promises that cannot, and will not, be met. From the legend of The Pied Piper of Hamelin. People tuned in to watch him declare "You're Fired"! He is good at rhetorically spouting about the things that we feel have hurt us. Trump knows which strings to pull to get our attention. He speaks in ways that have us longing for the results he says he will deliver. But speaking is not the same as delivering! In effect, the Peter Principle states that "managers typically rise no further than up to the level of their incompetence". Here are some examples of lies used to win the support of the Trump base. This callous indifference to the truth is incredible. Coal is never going to come back to the level of consumption that it once was at. New technology is in development so as to use coal as cleanly as possible. However, to say clean-coal is oxymoronic - a contradiction in terms. Besides, many previously big coal consumers have replaced their use of coal with other, cleaner, energy sources and will not revert back to using coal. Manufacturing businesses have also shrunk and many have even disappeared across the US leaving thousands of skilled workers without comparable job and income opportunities. Robotics and automation have replaced numerous skilled blue-collar workers and again, tax cuts will not revive the manufacturing sector of our economy. Steel production was once yet another previously high-employment, good-paying, US industry. We once had a World-Wide great reputation for our steel and steel products. Iron Ore processing into steel was also once a big consumer of coal in the US but is no longer in production here and tax cuts will not be revive this kind of industry in our country. Also, corporate taxes have nothing to do with encouraging or dissuading business from operating here in the US and lowering the tax rate will not produce the results they are claiming. What does count against starting business or creating jobs here in the US is the very high cost of living and the consequent very high cost of labor compared to off-shore. That's why robotics and automation is taking over. Another blatant example of a lie. Cutting taxes on the Rich will lead to benefits trickling down to the economy and to those in the lower and middle class working brackets. There has never been any reliable data to show this has ever worked anywhere that it has been tried. I speak to more about this below. But, what they are presenting as "economy miracle cures" providing "tax cuts leading to jobs creation" proposals for the benefit of the middle class and lower income folks, screams of deliberate deception and malfeasance when you look under the hood. Look beyond the smoke screen at what they are actually proposing and you will see that it is voodoo economics! It's all #fakenews! But please do not take from this that I think the Democrats might have a better plan. Quite likely not so, though I do think the Democrats are less radical and potentially much less harmful, but that misses my point. I'm just addressing the current situation which has the GOP in full-charge and refusing to cooperate with the Democrats in arriving at a mutually agreeable, bi-partisan solution that actually could work for we, the people. No good has ever come out of such strongly biased, solidly partisan, myopic decision making. The GOP uses fake news to con the public. Their promotion that their tax cuts will create jobs is simply just a classic case of bait and switch and is total nonsense. Their planned tax cuts target, and exclusively benefit, the top 1% at the expense of the majority. They will do absolutely nothing to help the lower income and middle class tax payers and, in fact, it will add additional burden upon we, the people. In Trump's world, anything that anywhere else would be factual and real but that would contradict his view of the world if so acknowledged, he labels as #fakenews. But in the real world in which the rest of us live, it's what comes out of Trump world to us that is #fakenews and that is propaganda. It's a deliberate plan to have you distrust the real news. It is a concerted effort to have you question your own reality and accept his reality as the truth. That's how dictatorships are forged. It's how frightened people and bullys operate. So we have Trump and the GOP Leadership fervently, but falsely, promoting the resulting "benefits" of their proposals as fact! But, in fact, this is completely nonsense. It is all just #fakenews! None of the benefits will happen or could happen under their plans in their current forms but that does not seem to matter to them: That is not their primary objective. Their objective is to pass their plan. To do that, they need you to believe them. Car-sales people will exaggerate to make a sale. Politicians will lie to secure election. In general, neither can be trusted to come close to speaking the truth when a sale or election is at risk. We all know that! Nothing #fakenews, new or even newsy about that. But, the GOP has to present their plan as if it is yielding a magnificent benefit to the middle class and lower income bracket consumers. That's because, like car sales people, they have to sell their snake oil to win over the electorate. They need the voters to believe in their plan so that they can get their plan accepted and then sneakily pass their bill. And they need to do that so as to help ensure that they keep their election funding sources happy. They need to serve the needs of their big-money donors, screw the consequences. That's so that they can to stay in power during the next round of elections. It's all very self-serving for the GOP! But it also works very much against the best interests of we, the people. Read the book - Dark Money¹ - for insight. The fact is that big-money donor contributions are now crucial to securing any kind of election in our present system. Without significant donor election funding, few candidates could win any elections that have now become a very costly business to enter. Consequently, many candidates on both sides of the aisle now depend on big-money contributions from the wealthy and from corporations. But this is particularly true of Republican candidates, many of whom also depend on gerrymandering of boundaries to secure their seats. Hence they fear this funding will be cut-off if their tax plan is not successful and they have publicly admitted as much. That is what is driving this frenzied action to get this tax bill passed into law and they wanted to do that before year end. You may be asking "why should you care what I think" and "why should my analysis carry any value"? Fair questions: Let me give you a quick background. My assessment of the GOP and Trump tax cuts proposals is based upon experience in being in business on both sides of the Atlantic. I've held profit and loss responsibilities and product marketing, engineering, IT, operations and supply chain responsibilities. My background includes job creation and hiring responsibilities in the UK and US as well as also dealing with Unions and their issues. Overall, I've worked in all levels of business from the production shop-floor, on-the-clock and shift-work to operations management in businesses ranging from heavy-industry metal and machinery production to advanced technology, high-power, electrical generation systems, electronic control systems and process automation systems. And I have started and run business in the UK and the US. My latest venture is "How To Live Off The Grid Now", the Community and Academy/Forum that is a possible escape hatch for you to use to get from under the consequences of depending on Trump and Congress for relief. Get out of the system and get off the grid. In this post, I've looked into each of these promises in depth: Tax cuts, Jobs Creation and Trickle Down. I want to share my conclusion with you. This review is my curation of a broad-base of related information gathered from recognized experts. It is also based on my own experiences of being in business on both sides of the Atlantic. In my view, the GOP and Trump Tax Cuts promises are all fake news. They are lures to con us into agreeing with their plans. They've presented their plans as solutions to our problems. However, the results of their proposals are designed to serve the Swamp and them rather than to serve us, the people. The House and Senate committees worked on the disparate GOP Tax Cuts plans to reconcile them. Maneuvering goes on to adjust terms so as to get the required GOP votes for passage. Democrats are denied any chance of bi-partisan collaboration. But no one is making any adjustments that would help produce the results promised to the people. That's what makes these promises #fakenews! Nonetheless, with both houses currently under clear GOP control, they succeeded to find a way to pass this Tax Cuts bill. So far in this review, I've given you a lot of reasons why and how we've been snookered. It is my conclusion that this will not end well for us. These reasons include the fact that many people today find themselves either out of work or barely making ends meet. They find themselves up to their necks in growing debt on stagnant wages. They worry about being able to retire with enough savings. All of these folks feel that Washington has abandoned and forgotten them. They are right: They have been abandoned by those they elected! So of course they would feel that way and they are desperate for relief. Per my "drowning man" theory above, they grasped onto Trump to save them. They eagerly drank the Koolaid Trump offered them and became mesmerized by the "Magic Flute" of assurances he's played. This is what we get when the Fox is guarding the Hen House. It's as if George Orwell's allegory "Animal Farm" has sprung to life and come home to roost here. Tax cuts for the lower income and middle class bracket people? No! That really is #fakenews. The GOP focus is on cutting taxes on the wealthy and corporations. Lower and middle income brackets will likely see increases in their taxes. Any tax relief that does appear is set also to expire. Jobs creation as a result of tax cuts? No! That really is #fakenews. Increase in demand is the only thing that creates jobs, not cuts in taxes on the wealthy and corporations. Wage increase is a result of an increase in demand. But, the GOP focus is on cutting taxes on their election-funding donors and those cuts will not create jobs. Trickle-down benefits to the economy? No! That is also #fakenews. No factual evidence exists to show that this theory works in real life. It is not scientifically based: It is purely Politically based and motivated! The initial, brief, economy uptick after Reagan's tax cuts - used by the GOP as evidence that this works - was followed by a recession and an increase in taxes by G H W Bush; conveniently forgottten. With some editorial by me, parts of this next section on the proposed Tax Cuts, Jobs Creation and Trickle-Down are quoted from a recent "Bill Bonner's Diary" Newsletter. Bonner is well regarded for his team's economic evaluations and trend prognostications. Tax Cuts? Only for corporations and the rich! Though billed and fiercely promoted (by Trump and GOP Leaders) as a “middle-class tax cut and jobs creation bill”, the middle class and lower income bracket folks actually get almost nothing from the proposed plan. Instead, almost all the benefits go to: (1) business owners, and (2) the very rich. Many in the lower income and middle class tax brackets may even end up actually losing their meager Health Insurance into this bargain. Such a deal! In addition, whatever benefits may come for the lower income and middle class voters, they are also set to expire whereas the new rates for the rich and for corporations are ongoing. It's all buried in more #fakenews! Since the feds - Swamp Critters - are unwilling to cut spending, we will end up with about $1.44 trillion (some estimates go as high as $2.2T) of extra debt added to the deficit. And that debt estimate is ONLY if things go according to the GOP's own predictions. It could end up much worse than that. It could end up not only yielding no growth in GDP but also, contrarily, shrinking the GDP and adding significant additional growth in the deficit. One way or another, Congress will have to reckon with this increase in debt eventually. There goes Medicare, Medicaid and Social Security. It could even trigger the next Great Recession! Reality is that jobs creation and tax cuts for the rich and corporations have nothing to do with each other. To suggest that they do is nothing but #fakenews; it is propaganda, it is nonsense, it's a myth. Jobs are what "we, the people," urgently want, dependable income and healthcare is what we need. But more wealth is what the Insiders want. The Insiders also want to get what they want and accomplish what they need with the least resistance from we, the people. Ironically, the best path of least resistance open to the Insiders is to suggest that these two disparate objectives - tax cuts and jobs creation - are, in fact, actually related and interdependent. They hope that we, the people, will salivate at the idea of getting these supposed benefits that we so desperately want. In this way, the populous is once again duped into blindly following the Insiders' lead without resisting or questioning reality. Thus the Insiders are, yet again, taking advantage of the average jobless and paycheck-to-paycheck consumer rather like holding a carrot on a stick over the head of a donkey. The carrot draws the donkey to move forward; it moves towards a carrot that the donkey never reaches to enjoy eating. 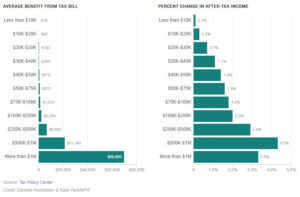 It is hardly a surprise that the latest tax proposals favor the Deep State² - The Swamp Critters - at the expense of the middle class and lower income people. You may argue that a plentiful supply of money at the top “stimulates” the economy… and that it “trickles down” to the common people. If so, there is little evidence of it. That has never worked anywhere that it has been tried, including Kansas and post Reagan. Besides, there is plenty of cash swirling around at the top already. Why has none of that trickled down? Note also that, as a percentage of the working-age population, fewer people have jobs today than at any time since the 1970's. Worse yet, that downward trend continues. Fewer workers means less demand. Lower wages means less demand. Less demand means fewer jobs. Fewer jobs and lower wages means shrinking tax base. Shrinking tax base means tax increases ahead to balance budgets - local, State and Federal. This downward trend will not be halted nor reversed by the Trump, GOP tax cuts plans. They are the wrong solution for this major societal and economic problem. 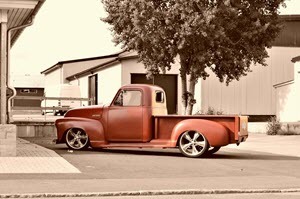 ​Back then, the typical working man had to work 900 hours to earn enough to buy a new pickup truck. Today, he has to work 1,500 hours and women have to work even longer for the same benefits if he or she is even lucky enough to still have a decently paying job and have living expenses that don't exceed their paycheck. It's time to take a look at how you can take back control over how you live your own life: Get out of the system and into living off the grid! In this post, I have laid out, as my opinion, my assessment of the GOP Tax Plans, the fake news statements they use to justify and promote their plans. I have outlined the potential impact that those plans, if applied, will have on us, "we, the people". As I've shown you, this evaluation has been based on my experiences in life and in management, with an entrepreneurial background in developing business on both sides of The Pond. You can agree or disagree with me; I'd love to hear your opinion. Please scroll down below and leave a comment. Share your opinion and help me learn from your experiences so I can better connect with you. This is my conclusion based upon all I've shown you here. Neither Trump nor Congress is on your side or our side. The solution is to take back control over how you live your own life. Get out of "the system"; get yourself off the grid! That's easier said than done but here's a checklist of things you would have to be aware off to do that successfully. Sign up below here to subscribe to my Newsletter and Information Updates and get a link to download your own Free copy of my "Get Off The Grid Checklist"
By "get yourself off the grid", I mean that the solution lies in becoming as self-sufficient as you possibly can. This also means that you have to do this in a way that you become a business; become entrepreneurial and self-employed. Create your own business and thus create your own job. As I've shown you above, the GOP's Tax Cuts plans favor the rich and business. These plans favor a flow-through of income from business to owner. So, rather than fight the Swamp Insiders, join them in their own game: Use the Japanese art of Jujitsu - using your opponents force against him to beat him! You must talk to a tax professional accountant to figure out how to construct your new business entity in order to ensure getting the maximum tax benefits if there are any to be taken in what you are doing in living off the grid. Are you ready to get out of "The System"? Ready to take back control over how you live your own life? Do you know what to do? Where to start and how to start doing that? Do you want to learn and get help on how to do that? Would you enjoy being part of a Community of like-minded folks getting off the grid together and helping each other solve problems and answer practical questions? There is a veritable forest of information freely available on the internet where you can spend days wandering through the maze of data sorting out the few good, helpful nuggets of information from a vast miscellany of misleading stuff. Or, you could save yourself a bundle of time, money, effort, frustration and even, perhaps, heartbreak, by joining, and participating in, our growing Community of folks living, or getting to live, off the grid. Sign up now to register to join, and become a part of, the "How To Live Off The Grid Now" Community Academy/Forum by Clicking Here Now. There is no obligation and no credit card needed here. Be sure to Click on the offer link of a FREE Get Off The Grid Checklist included in your Thank You for registering acknowledgement email if you would like to download a copy. Note: The Community Academy/Forum of "How To Live Off The Grid Now" opens for new membership admission only a few times per year. Depending on when you read this, you may find that the Community is not currently open. Just click the registration button to join the wait list to be notified of the next opening date so you do not miss it. No charge or obligation in joining the wait list - it's a free email Newsletter and Information Updating service of HTLOTGN. Because there are so many parts to put together in order to live off the grid. There is a growing set of Tutorials, Videos, Plans, PDF's and Programs being gathered together all designed to help you quickly get usable answers to your questions. You can spend hours, even days, searching the web to discover practical, usable, know-how, tips and tricks about how to get yourself off the grid. There is a plethora of free information on the web but much is also suspect. But why waste your time searching the web universe when you can come directly to curated information in this Community? The key here is that you could save yourself a bunch of time, money, effort and frustration by joining the Community Academy. Because to successfully create a live off the grid lifestyle is a complex process, participating in forums enables you to get real-time answers to your questions from folks who have related experience and knowledge to share with you. They also help you learn directly the experiences of other, like-minded, folks who are following the same kind of new lifestyle creation path that you want to follow. There are so many things that you need to be aware of in order to successfully create your own self-sustainable off the grid lifestyle. It's like being able to do things together with other folks instead of blindly heading of into the unknown alone with no-one to guide you. The key here is that you can save yourself a bunch of time, money and effort by joining the Forum. When going together on any project or journey, we are always so much stronger and more successful than we ever are, or can be, when going it alone. That's a key benefit of joining, and participating in, this Community. Once I realized that you can't successfully fight back against the Swamp while you are still living within the system, I began to look for ways to escape the system. I quickly realized that the only way to do that was to create a self-sufficient, self-reliant lifestyle for myself: I wanted freedom from dependence on things like the power grid for my electricity, the super-market for my food and the 9-5 jobs market for my income: I had to take back control over how I lived my own live and figure out how to "get off the grid"! So I searched the web looking for information and quickly discovered that there is so much information out there, much of it suspect or very poor quality. I set out to gather together information from folks whom I could establish as reliable and genuine and began to curate the information. Then I started "How To Live Off The Grid Now". "How To Live Off The Grid Now" is an online Community, including an Academy and a Forum, that is all about helping you to find your own way to get yourself off the grid with the least possible amount of time, frustration, effort and money. Here, you will also find a Blog in which this article is posted - along with many others - and there is a growing set of Deals and Resources to support you in your efforts to create your off the grid lifestyle. The web site Home page contains an Introduction Video, current twitter stream and links to all other assets. You can find your way around all of these assets by clicking here. Note that you do not have to become a farmer or get involved in growing your own vegetables and animals just to get to live off the grid. In many cases, if you have a good sized backyard, say 1/2 to 1 acre of arable soil space, you can easily grow enough basic food stuff to keep you supplied. However, if you goal is to ultimately become truly self-sufficient and self-reliant in your new lifestyle, you will have to incorporate some method of providing yourself with a dependable supply of a range food types. Farming, at least on a small or backyard scale, is just one way for you to do that but not necessarily the only way. Whichever path you choose, my idea of farming is totally different and, arguably, much more fun and rewarding, than the old fashioned idea of farming. So, there you have it. I would love to have your feedback. What do you think about any of this? Do you agree with my assessments or do you disagree? Please scroll down below "Related Posts" and leave a comment here in this Blog post. I read them all, particularly those that share related experiences and include topic-related questions. Please share this post with your friends and family. Click on any of the Social Media Icon at the head of this post to share with your Friends and Followers. Click any of the "tweet this" options sprinkled throughout this post to actually tweet that quote. Thank you for participating in, and helping to share, this conversation.